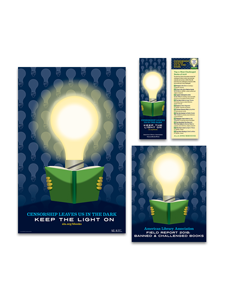 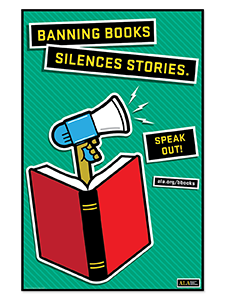 Banned Books Week highlights the benefits of free and open access while drawing attention to the harms of censorship by spotlighting actual or attempted bannings of books across the United States. 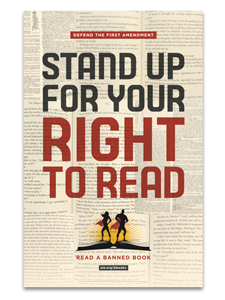 Use these bookmarks to help emphasize the importance of the First Amendment and the power of uncensored literature. 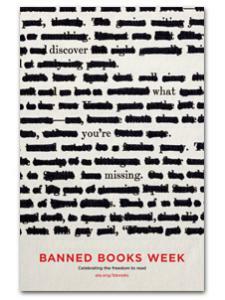 For more information about Banned Books Week, please visit www.ala.org/bbooks.